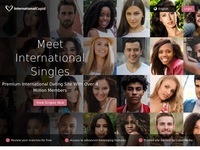 Singles Meet Online - Belarus Singles & More! Over 100,000 members from over 150 countries including Belarus. Enjoy private chat with other members online. Entire site is available in French or English. "Free For Women". Looking for friends (or romance) Internationally? Check out International Cupid for a chance at meeting your special someone! Sign up and view member's profiles. Search for fun, interesting members all over the world, but also, if you would like, you can focus on members in Belarus!